Automated systems for the reception, coordination and management of raw materials. Vehicle identification (BCR, RFID, SVA) at the entrance, in the loading zones and exit. 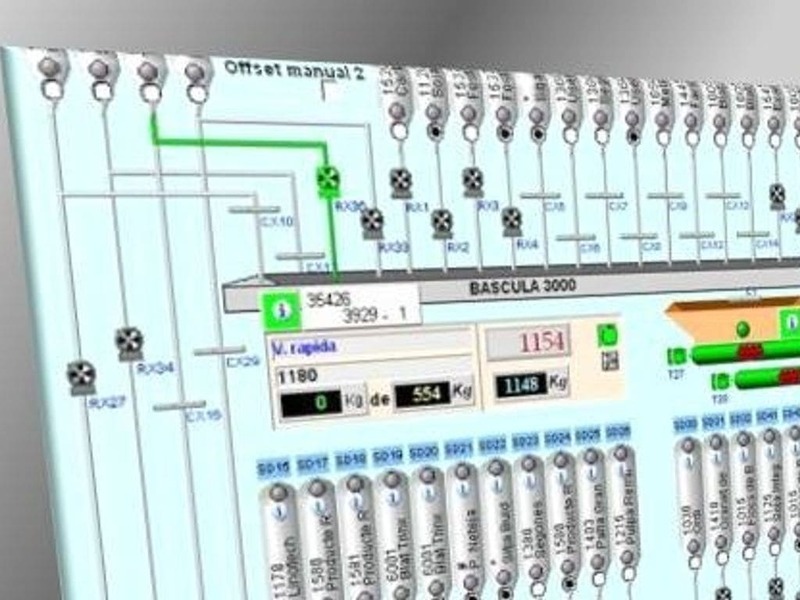 Automated transport to the right silo without error, according to the raw material and batch. Batch control and traceability up to the supplier. Vehicle registry and control of trips, location, travelling times, driver, etc. Activity historical recording in the data base.